This office represents the 13th physical office for PF Olsen in NZ, not counting the Waiuku containerised nursery. PF Olsen already has well established offices in Christchurch and Dunedin, but there is a lot of country and a lot of forest blocks in between. 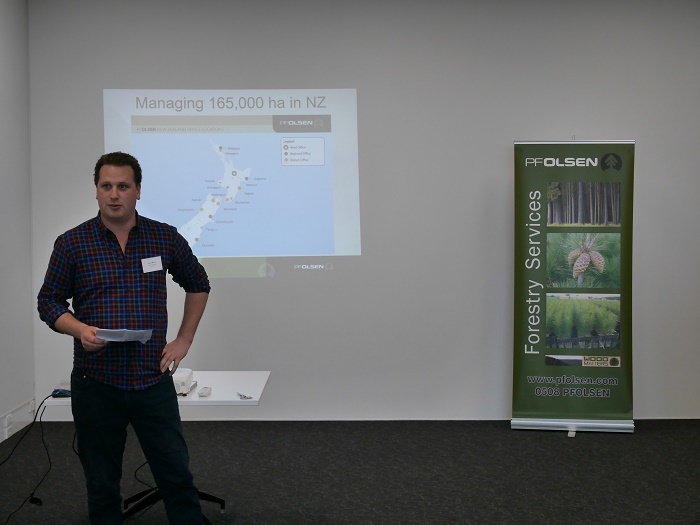 PF Olsen recognised the need to position itself closer to forest owners and investors in the South Canterbury region. PF Olsen has introduced Pacific Forest Products to export logs from Prime Port in Timaru. PF Olsen South Canterbury manager Henry Morris says, “This has brought a third exporter to Prime Port, which has in turn increased the revenue generated from logging activity to forest owners across the board”. Henry transferred to Timaru from the PF Olsen Northland office. While the Morris clan’s New Zealand roots originate in South Canterbury, Henry grew up on a Sheep and Beef (with a few woodlots) property near Amberley in North Canterbury. Henry is delighted to return home and is very appreciative his partner Gemma committed to the move. PF Olsen look forward to establishing strong relationships in this region.